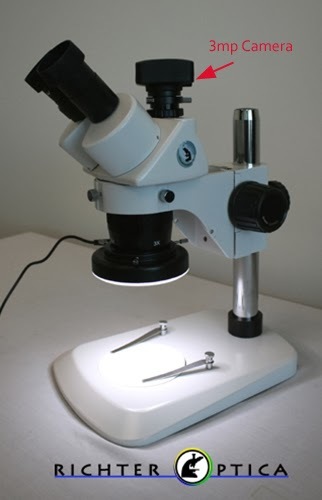 Microscope World recently posted on our most popular high school biology microscopes and in turn were asked about the most popular high school dissecting microscopes. This post is dedicated to high school dissecting microscopes and will break down the benefits and downsides of the different microscope options. The most popular and cost effective high school dissecting microscope is the MW3-LED1B cordless dual power microscope. This dissecting microscope is popular among high schools because it is simple, it is cordless, and it is affordable (under $300). 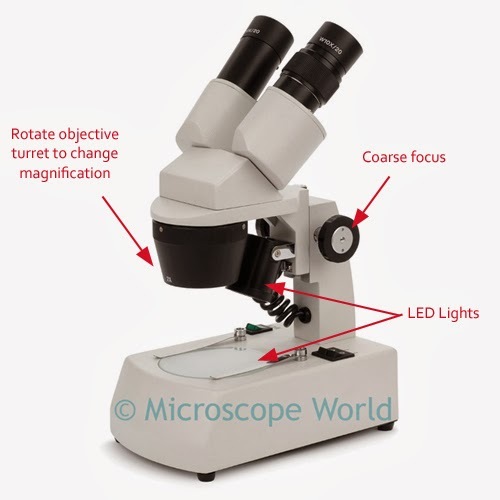 The microscope has two magnifications, the most popular model sold has 10x and 30x magnification. Eyepieces can be swapped out for alternative magnification. 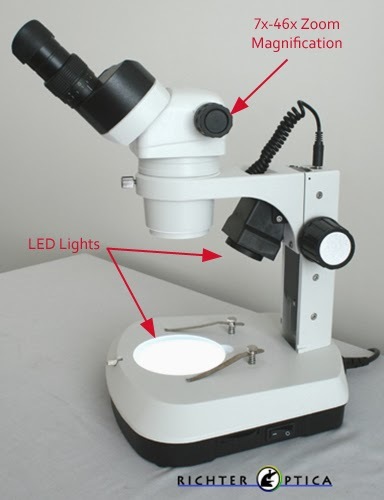 A few downsides of this microscope are the smaller working surface and the inability to raise the head of the microscope higher to increase working space for larger specimens. The S2-BL microscope is another dual magnification (10x and 30x) dissecting microscope, but on a post stand, which allows the microscope body to be moved up higher on the stand, accommodating larger specimens beneath the microscope. 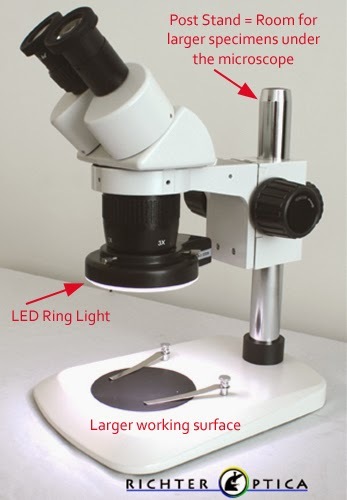 The LED ring light provides a brighter light than the lights that are built into a microscope stand, and the larger base provides more working surface for placing frogs, plants or whatever biology class presents for the lesson plan. The S6-BLED10 stereo zoom dissection microscope offers 7x-46x zoom magnification. Rather than two set magnifications, students can view every magnification within a range. Two LED lights can be operated together or separately. The S2-PLCD digital dissecting microscope is popular in high schools because it can reduce the number of microscopes required in a classroom thanks to the LCD camera. Rather than having a microscope for each student, some schools have a microscope with a tablet camera that allows multiple students to view the specimen without each having to look through the microscope. The Android tablet camera is popular, as it is a regular Android tablet touch screen that attaches to the microscope. The touch screen is easy to use and images can be captured and saved, emailed or included in reports. At under $800, this digital LCD 10x/30x dissecting microscope is attractive for schools that need to stay within a tighter budget. 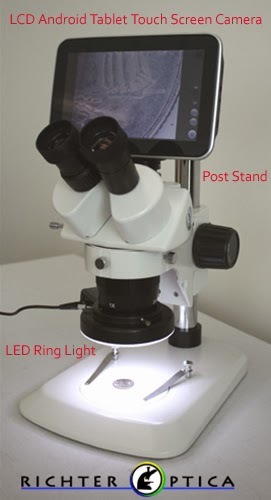 The S2-TPD dissecting digital microscope is priced under $700 and offers 10x/30x magnification along with a 3mp USB camera that allows projection of images to a monitor or computer. Images can be captured and saved, emailed or placed in reports.